Amazon dropped the prices for Ring Smart Light Starter Kit bundles a week before the lights start shipping. Ring originally introduced the Smart Lights along with other new smart home security devices in January at CES 2019. 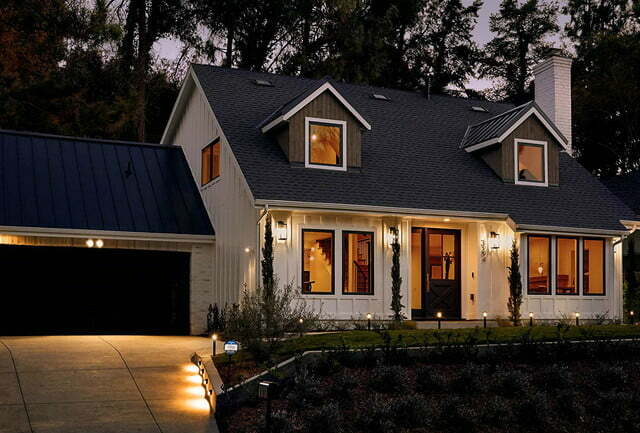 Smart outdoor security cameras and lights turn on automatically and alert homeowners to visitors or intruders. You can pre-order either Ring Smart Light Starter Kit bundle today and save $30 on April 17 when Ring releases the Smart Lights. Ring Smart Lights require a Ring Bridge, included with the Starter Kits. The Ring Bridge controls the Smart Lights and can also connect with other Ring lights, cameras, motion sensors, and doorbells. Set up the Ring Bridge inside your home by connecting it to your Wi-Fi network using the Ring smartphone app. The next step is to pair the Ring Smart Lights in the kit to the Bridge, along with any other Ring products in your smart home configuration. After you install the Smart Lights, you can manage them with Alexa voice commands. The two Ring Smart Spotlights in the Starter Kit use four D-cell batteries each. Ring estimates the batteries will last for one year under typical use and conditions. 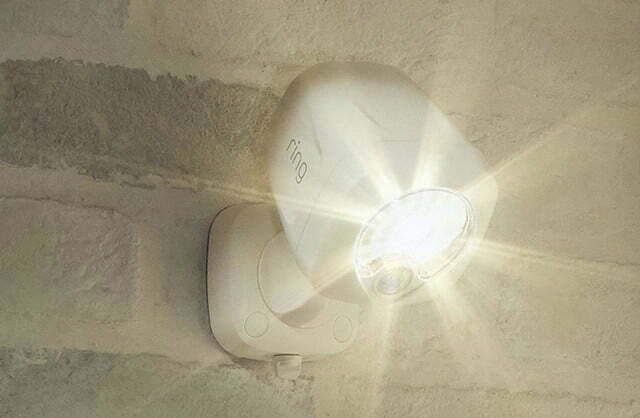 Ring Smart Spotlights also have integrated motion detectors with a 30-foot range. When the Lights sense motion they turn on automatically. You can configure Ring Smart Lights to turn on individually or all at once when one of the lights detects movement. You can also set the system to activate cameras in connected Ring devices. Before the scheduled April 17 release, you can pre-order either of the two Ring Smart Lights. Amazon doesn’t charge customer cards until items ship, but when the Ring Smart Light Starter Kits go out, you’ll save $30 with either smart light configuration. 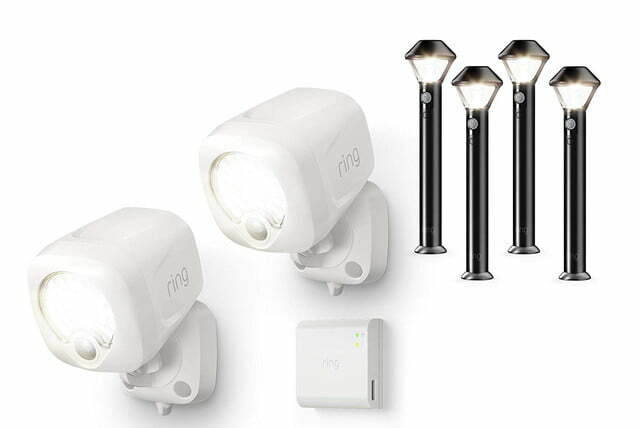 The more comprehensive of the two Ring Smart Light introductory offers, this bundle includes the Starter Kit with two Ring Smart Spotlights and a Ring Bridge plus four Ring Smart Pathlights. The battery-powered Pathlights run for up to one year on four D cells. The Pathlights have motion detectors with a 15-foot detection range and a photoelectric sense for dusk-to-dawn lighting. Normally $250 for the combined prices of the Starter Kit and four Pathlights, this bundle is $220 during the introductory sale. 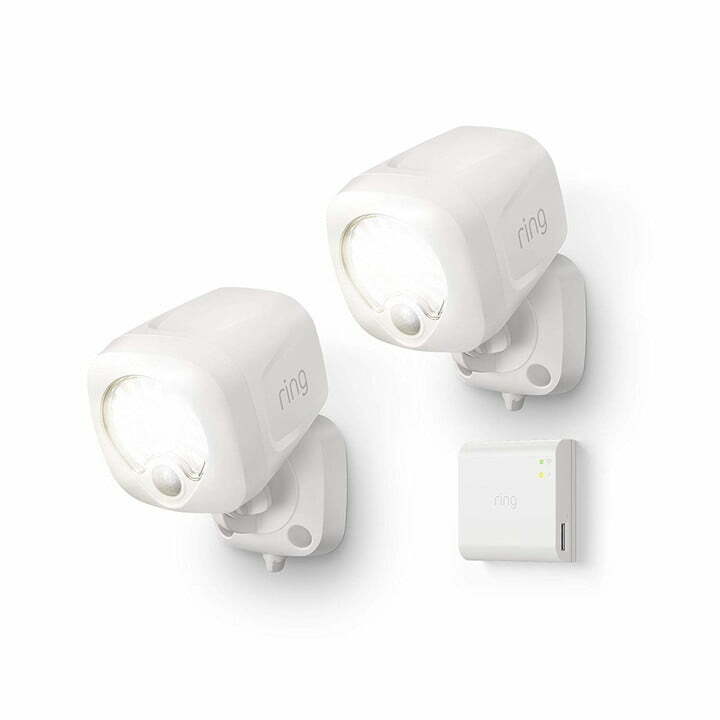 If you want to combine smart lighting that includes strategically placed spotlights and pathway lighting, all connected to a Ring video doorbell or other Ring camera or lights, this is a great opportunity to save money on the smart light bundle. If you don’t need pathlights, the basic Ring Smart Light Starter Kit includes two Smart Spotlights and the Ring Bridge. 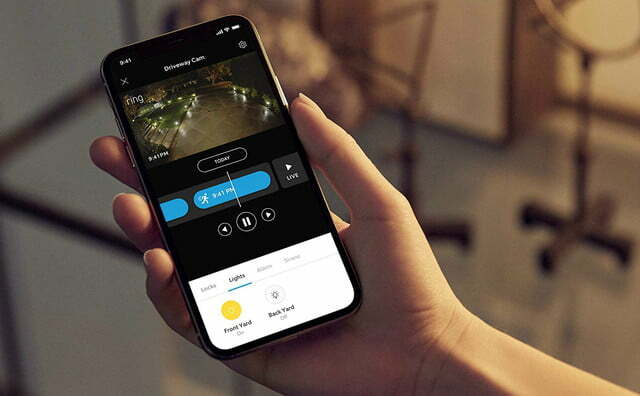 Connect the lights with a Ring Video Doorbell for extra lighting when the doorbell motion detector senses movement and to turn on the doorbell’s camera when one of the Spotlights picks up motion in your yard. Usually $130, the Ring Smart Light Starter Kit is $100 and available for pre-order leading up to the April 17 release date. 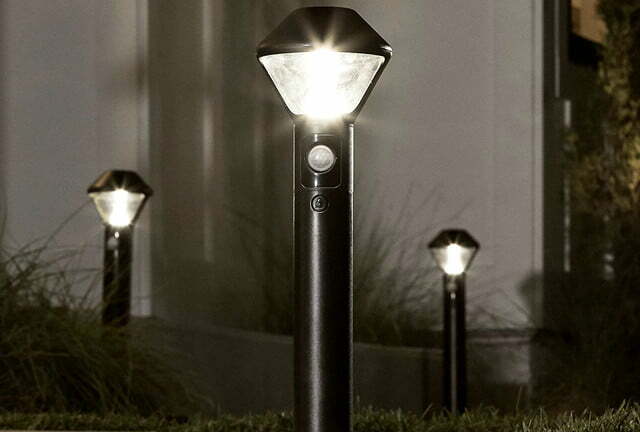 If you need outdoor security lighting, with or without additional Ring security devices, take advantage of the pre-order savings.